About six miles from this monument (in Skeleton Canyon of the Peloncillos, on the New Mexico-Arizona border) Geronimo surrendered to General Nelson Miles on September 4, 1886. 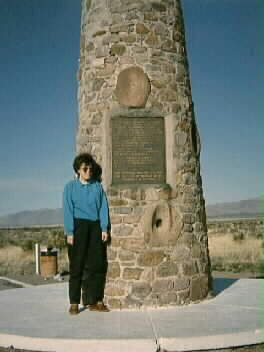 The monument is located the highway between Douglas, Arizona, and Lordsburg, New Mexico. My wife is standing next to the monument.